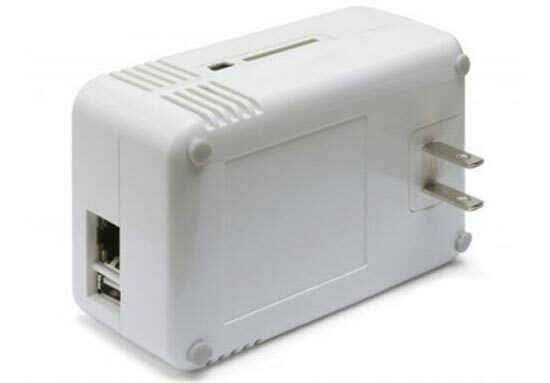 The Marvell Sheeva Plug is essentially a PC based inside a wall plug. The plug is fitted with a processor, memory and storage that can serve as a networked computer for your home. You just need to add a USB storage drive, connect the ethernet port to your router, and then you have an instant network-attached storage device. The device sports a Marvell Kirkwood processor based on an embedded 1.2GHz CPU equipped with 512MB of flash and 512MB of DRAM. Marvell is not selling the PCs as a standalone kit, but they’re after developers to create packages which then serve as retail units. Developers can buy a software developer kit and come up with their own ways of using the device. I imagine that NAS, downloading, sentinel and home automation are perfect uses for it. However, the lack of ports would limit exactly what it could do.